The wait is over (and so is the solar eclipse)! 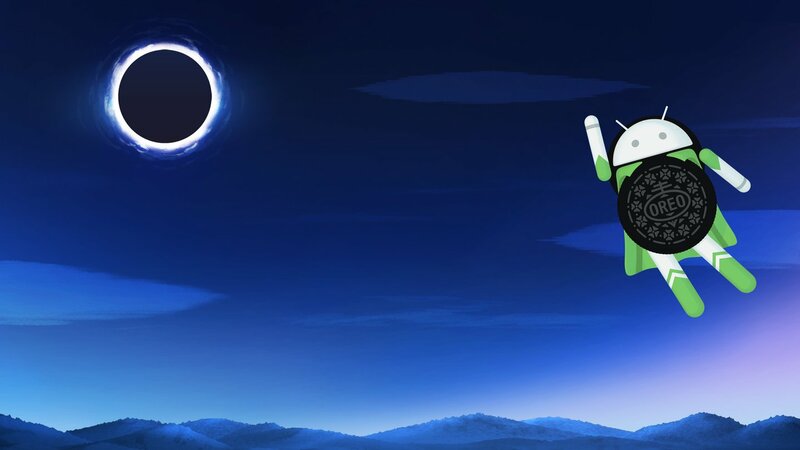 Google on Monday confirmed during the astrological event that Android 8.0 will indeed be known by the nickname Oreo. Best yet, you should be able to get your hands on the new OS fairly soon -- if you have the right device, of course. 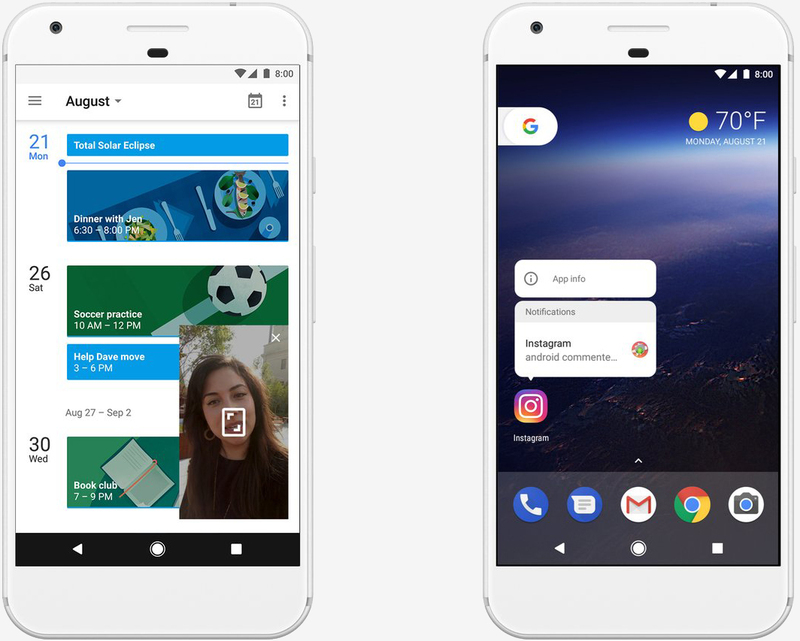 Android Oreo isn’t ripe with groundbreaking features although there are a handful of noteworthy improvements including picture-in-picture, notification dots and Autofill to go along with the usual security enhancements and overall speed bumps. There’s also a redesigned emoji set with more than 60 new graphics and improvements to reduce battery consumption. Oreo represents only the second time that Google has gone with a commercial nickname for Android. In 2013, Google partnered with Nestle / Hershey for the launch of Android KitKat. Google said it is pushing Android Oreo to the Android Open Source Project (AOSP) today. Builds for its own Pixel and Nexus 5X / 6P smartphones have entered carrier testing and should be rolling out in phases soon. Updates for the Pixel C and Nexus Player are also on the way. Devices enrolled in the Android Beta Program will also receive the final version of Oreo soon, we’re told. The search giant further notes that hardware makers including Essential, General Mobile, HMD Global, Huawei, HTC, Kyocera, LG, Motorola, Samsung, Sharp and Sony are scheduled to launch or upgrade devices to Android 8.0 Oreo by the end of the year. "Android Oreo isn’t ripe with groundbreaking features"
Arris, Uncle Al, Reehahs and 1 other person like this. Security is a big part of why updates are very welcome. New features and battery life comes second but still personally quite important for me. It's just has the expected, annual iterative improvements. The sort of thing the phones they power receive annually, it's the norm. If you don't look hard enough, you'll never notice any difference. Better security and battery life is always important and welcome though. Very seldom do you ever see any sweeping changes from one generation to the next. I'm still at a loss as to why perfectly good devices from Essential, General Mobile, HMD Global, Huawei, HTC, Kyocera, LG, Motorola, Samsung, Sharp and Sony may not receive the update. It is the Android Open Source Project (AOSP) after all. Isn't there a dark and dingy lab of twinkies and joe where this elixir can be openly ported? Of course, one cannot overlook the 'drivers' issue. It would seem this could be opportunity for new businesses - rating manufacturers on maintaining and updating drivers and delivering OS updates. If I were spending $500 on a device, I would be interested...how about you? That is why you choose the brand that offers updates im the future and has done so in the past. All non stock Android OS phones seldomly receive updates or with much delay(such sometimes that you switch your phone more likely). Its the reason I dont like Samsungs brand. They want to offer everything, but in the end you have to wait so long to get it, that by the time you do get it you lose interest and most of the time only flagship phones get them. This is one of the big reasons I went with Oneplus. Got the phone not 2 months ago and got 3 updates for bugs, security and improving camera and battery life. I think LG went vanilla a little while back also? I like updates cuz there will always be bugs and things to improve. The only updates I hate are win. They always happen when you just need to look at that one file or a schedule and you have to wait like 20min. They definitely should rate them by that! Sometimes they also claim hardware limitations(Ram and such) but I wonder what will happen now since all flagships have like 8gb Ram and relatively good CPUs. I've had an S4, S5 and now an S6. For tablets I own a 7" HP Slate Plus 4200 and Samsung Galaxy Tab S 10.5". Other then the old HP, my devices always get the latest Android OS as soon as its available. I've had my S6 for 11 months now and its had about 3-4 system updates, think maybe one OS update when I first got it.